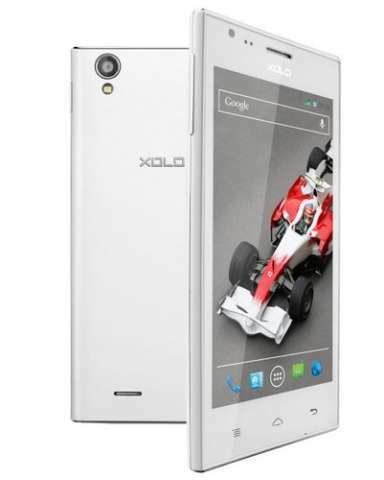 Xolo has officially launched its latest android smartphone, Xolo A600. The phone was appeared on the company’s website earlier this week along with Q900. Under the hood there is 4.5-inch qHD (960×540 pixels) resolution IPS display at 245 ppi. To make the 1.3GHz Dual core processor run there is Android v4.2 Jellybean operating system. For graphics rendering the phone has Mali 400 MP GPU. The phone comes with a 5MP shooter with LED Flash and a VGA front camera. Talking about the storage, it offers 512MB of RAM flavor , 32GB via micro SD card and 4GB of internal memory. There is 1900 mAh battery to make the device alive. It is just 9mm thick and features 3G, 2G, WiFi, Bluetooth v3, GPS, HSDPA 21Mbps, HSUPA 5.6Mbps & FM radio. Like most of its cousins it also supports DUAL SIM cards. The new A600 comes in Black and White colors, you can own it for INR 8,200. Overall there is noting new or interesting that make you happy. We recommend you to read ” BEST ANDROID SMARTPHONE BUYING GUIDE” BEFORE YOU BUY any smartphone this Diwali.